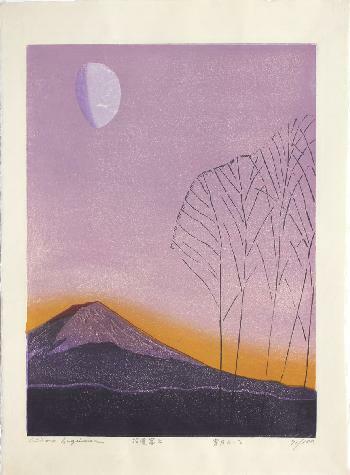 Yoizuki kakaru (宵月かかる) - Long-lasting evening moon, from the set Shūi Fuji kobore (拾遺富士こぼれ) - Additional Fuji images. Paper size: 31 x 56.5 cm. Number 71 from an edition of 100, self-printed in 1998. Print details in pencil in the bottom margin.